The spokesperson said no determination has been made for bi-racial kids, though the rules committee was leaning in the direction of allowing them to play these positions in a back-up role only. 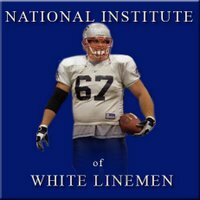 “If a black running back or defensive back is hurt while competing, bi-racial kids will likely be allowed to replace them on an emergency basis,” the spokesperson said. “However, we have not completed the full discussion on that issue”, she added. 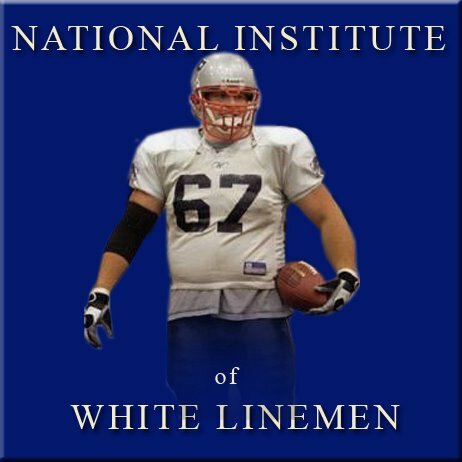 Rudy Lane, former NFL offensive linemen addressed the issue on behalf of the ‘National Institute of White Linemen.’ Lane said, “this doesn’t represent a big setback for our organization. Our focus has always been to try and block the black athlete from making progress on the playing field. 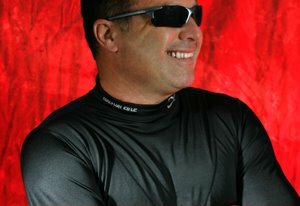 We will continue to work on our skills in that area.” Lane chortled at his own comment causing the huge belly that covered his belt buckle to jiggle around under his stretched polo shirt. When informed of Jackson’s remarks, Bush said the speed of the black athletes gives him an idea on how to find those weapons in Iraq quicker. In local football news from yesterday the Cowboys defeated the Cardinals. Radio broadcaster Brad Sham told his audience that the current Cowboys record of 5-3 is better than if they were 4-4. He went on to explain that it means they have won one more game than if they had only won 4 at this point. Very funny. And very true. Maybe someday everybody won't be afraid to be this honest.